A simple way to know which language to write your resume in. A question new Israeli job seekers often ask is “which language should I do my resume in, English or Hebrew?” If people speak multiple languages where you live, your resume needs to know how to make this language decision. Your resume should be sent in the same language that the job listing was written in, unless otherwise specified. Why is this important for your resume? The person who wrote the job listing will be one of the first people to see your resume, if not the first. If they can't understand your resume, they're unlikely to forward it to the hiring manager. If they still do forward it, you can bet that the resume will arrive without their recommendation. More importantly, understand that the hiring company is trying to target its audience in finding the most suitable candidates for the job opening. If the company published a job listing in a certain language, they're aiming to find employees speaking that language. If you're in an industry where you're likely to be asked for resumes in different languages, have different versions ready but only if you speak all the languages involved. Avoid the time, money and effort to have your resume translated into a language that you can't use to detail that same resume. There are a few different recommendations for what to base the language of the CV in Israel, and this is one of them. In my opinion, it is not the best. The objective of the CV is to catch the employer's attention, and make it easiest for them to understand what you can bring to their company. 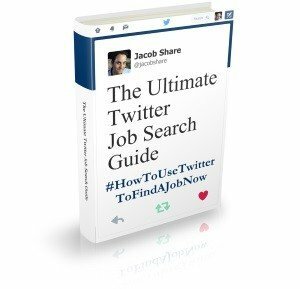 The job seeker generally can't know who is going to read it, or what their preferred language is – in fact multiple people may review it, and not have the same language skills. In such a situation, without having inside information, the safest and in my opinion best approach is to send both an English and a Hebrew version of your CV when you apply, either in two separate documents, or in one document which includes bother versions. To which I respond: job search locally like a local. A sabra (native Israeli), seeing a Hebrew job listing on a job board, will not send along an English resume too unless required. While above I give a rule of thumb for choosing a resume language, the best strategy is actually to research companies before applying, among other reasons so you can learn what kinds of resumes get people invited to interview there. Capishce? 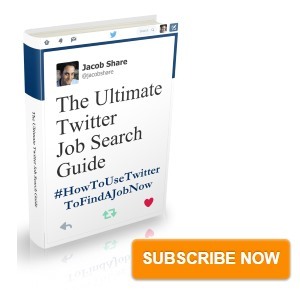 Subscribe to JobMob via RSS or email and follow me on Twitter to make sure your resumes are being understood right. Very helpful. From my international job seeking ventures, and assuming you’ve managed to contact a real person, I’ve found that it’s also helpful to ask what language they want it in. This works best if there is reference to “must be fluent in…” or “blah is highly desired”. Sometimes you may be speaking to a recruiter that is hiring for someone who does speak another language (or in another country in the cases where a big company is trying to hire locally). And as Jake mentions, don’t kill yourself trying to impress someone with another language, it rarely works and is time consuming. But as a bottom line, make the recruiter happy, their job easier, to get to the decision maker. oh, and another thing. Speaking as someone who has hired hundreds of people over the years, there’s nothing worse that reading a CV in a language that, imho, has errors, but they claim to be “fluent/advanced/etc” in that very language. That’s a big negative in my book, and I know lots of bilingual friends that are hiring managers, that may throw a CV in the bin for that. Thanks for the extra insight and tips, David. I remember seeing lots of CVs in France where people claimed to be fluent in English but the CV was filled with errors. It’s bad enough that there are mistakes but it’s so much worse if the candidate claimed fluency, you’re right.